If you just to recover new things from retired and useless objects lying around then pallet wood medium will be a great choice to make amazing discoveries! Pallets are popular across the globe for DIY furniture building but the decors and crafts lovers are also using them for making art and craft pieces of their own choice! Recover practical items also from pallet remains and leftovers just like this DIY distressed pallet tray, is just perfect for meals and beverage items to your family members! 4 equally longer lengths of pallets have been gained as one unit by adding the cross wooden supports over using nails! These cross wooden supports also comes with accent metal handles that help to lift the tray is filled with the refreshments you are just going to serve! 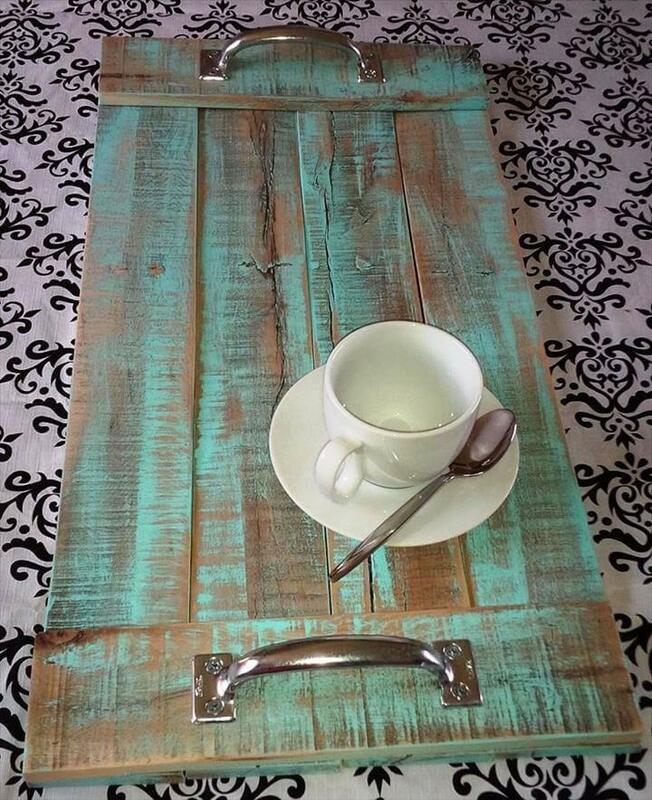 By going with paint and stain, one can just get this tray in any rustic or modern avatar! 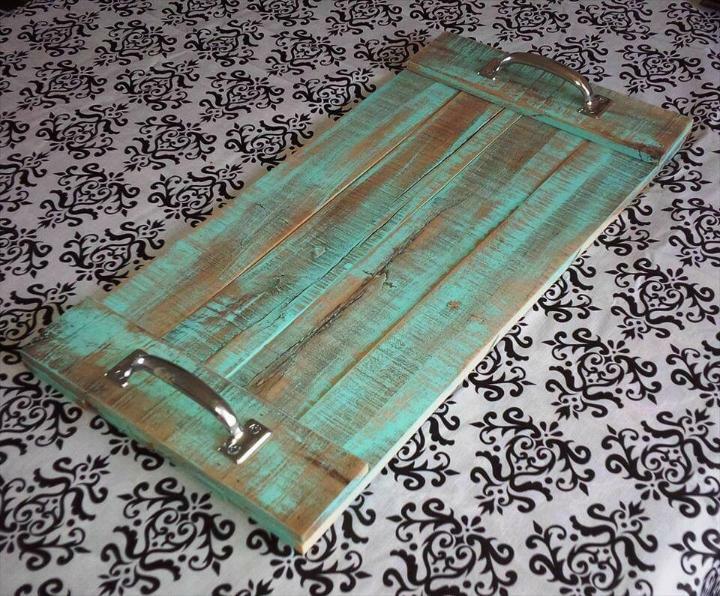 This tray comes with distressed turquoise appeal, really making it look extra rustic and antique! Paint it solid for a modern appeal also! Choices for final avatar are all yours! A 5 pallet-slat project, a handsome wooden tray for home lovers! Will come in handy to serve the coffees and other beverage types along with breakfast and lunch meals! For a boost to already rustic appearance, one can prefer the nautical rope handles also! Metal hardware handles have been fixed in place using steel screws!